High-quality European red foxes from the beautiful Alps in Switzerland have just arrived. 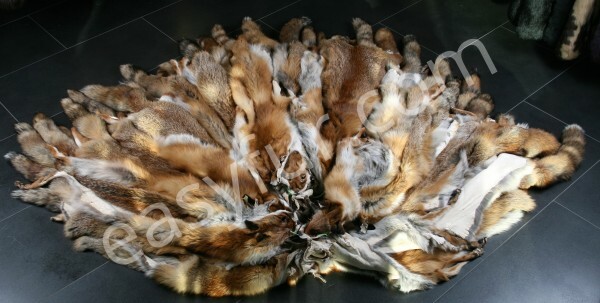 In this lot, we have over 2000 fresh European red foxes in best qualities. All foxes were dressed in Europe and tested for chemicals and harmful substance (lead, chrome 6, PCP and formaldehyde). We always go below the strict guidelines of OEKO-TEX in our tanning process. Related links to "Europaen Red Fox Skins - natural"
Customer evaluation for "Europaen Red Fox Skins - natural"